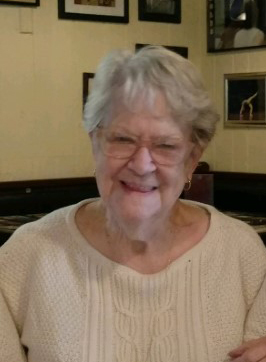 Mary Lu Flory, 83, of Roswell, GA, formerly of McDonald, passed away on Monday, March 18, 2019. She was born on August 17, 1935, a daughter of Charles and Bertha Hicks. Mary Lu loved reading, painting and spending time with her family. She served in the medical field for over sixty years as a registered nurse, nursing supervisor, director of nursing, and as a nursing home administrator. Surviving are four children: Curtiss J. (Debbie) Peck of Bell FL, Carla J. (John) Rodgers of State College, PA, Cheri J. Richard of Pittsburgh, PA and John D. Flory of Snellville, GA; a sister, Sheila J. Carter, of Maggie Valley, NC; a brother, Jim (Marna) Hicks, of Washington, PA; a neice, Becky (Brock) Johnson, of Myrtle Beach, SC; seven grandchildren: Jesse (Lauren) Rodgers, Matthew Rodgers, Emily (Aaron) White, Carrie Richard, Tammy (David) Szramowski, Kathleen and Kayleigh Flory; five great-grandchildren: Ace Minton, Jasper and Silas Szramowski, Roarke Richard, and Rachel Swackhammer. Family will receive friends on Sunday, March 24, 2019 from 4:00 – 7:00 p.m. at Nation Funeral Home Inc., 220 E. Lincoln Ave. McDonald, PA. 15057. A service will also be at Nation’s on Monday, March 25, 2019 at 10:00 a.m. Interment will follow in Forest Lawn and Gardens. Memorial contributions are suggested to Anxiety and Depression Association of America, 8701 Georgia Avenue, Suite #412 Silver Spring, MD 20910 or on-line at adaa.org.